Full steam ahead at Universal Orlando with two major projects at the resort. 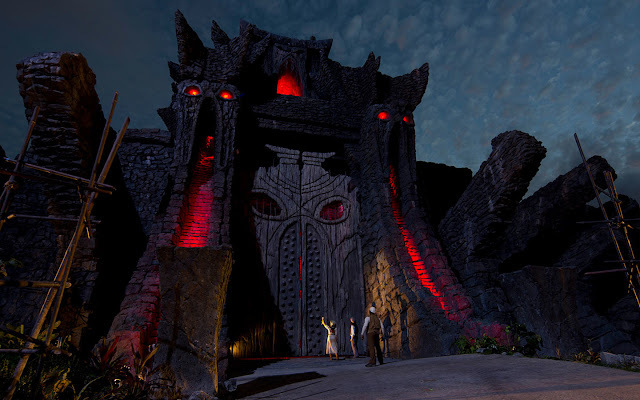 This morning the Universal Orlando Blog posted an update to Skull Island: Reign of Kong with the amazing photo above and an official ride description. Universal also uploaded two videos, one a behind the scenes look at the creation of the attraction. A new 'Myth Explorers' mini series has been created online using real life SyFy star Erin Ryder on her quest to find Skull Island and King Kong. The series is hosted on the UOR YouTube page and all links go to the UOR website, so this is very much a viral marketing campaign for the attraction. The production values are high and I'm intrigued to see where this goes. The first episode is available below. Reign of Kong is expected to open this summer, rumored more specifically July 2016. Vertical construction has started on the volcano at Volcano Bay. Finally a Notice of Commencement has been filed for slide construction and for the first time we have confirmation that ProSlide is supplying all slides for the water park. Skull Island: Reign of Kong is finalizing construction and inching towards opening this summer. Here are some updates from the project. Night time lighting testing has begun and it looks amazing. MickeyXtreme on Twitter has provided several photos taken from the air of the Kong construction. You can see the outdoor path layout, landscaping, and interior queue set up. The exterior doors for the attraction are now regularly testing. These doors are the main show doors, but there are a smaller set behind them to block out the sun and soundproof the attraction. Finally, Orlando United poster emurphy707 posted that the season finally of Face-Off is called Skull Island; Reign of Kong. Face-Off has previously broadcast episodes on special effects make-up for Halloween Horror Nights and it's likely this year they are working with Universal on such effects for Kong. We have been hearing for over a year of actors portraying Skull Island 'natives' in the queue and/or post show; this special along with a casting call from early February show Universal is moving ahead with this plan. Expect something more along the line of the Face-Off scare zone from prior Halloween Horror Nights minus the "jump scares" that startle people. Reign of Kong is shaping up to be a complex experience, one we haven't seen since The Great Movie Ride combined a guided tour, AAs, film segments, and live actors in 1989. We believe Kong might be ready for a May soft opening date to handle the Memorial Day crowds. Universal has traditionally held events opening events to open several new additions at once and since Sapphire Falls has officially been announced to open in July 2016, we expect Kong's official opening to happen at that time too. Trains and the Harry Potter series are fundamentally intertwined. JK Rowling came up with the over arching story and plot while on a train. She sat across from the Kings Cross station while writing the first book. Harry boards a train at Kings Cross to go to school and also enters a Kings Cross like limbo when Voldemort kills him (and the horcrux within). The continuous motion, functional history, and a little bit of magic of a steam locomotive is seeded deeply in the Harry Potter mythos. The Hogwarts Express is a natural fit for an attraction, just like a ride on a Gringotts bank cart or the Millennium Falcon. But, how do you recreate the over 450 mile trip? 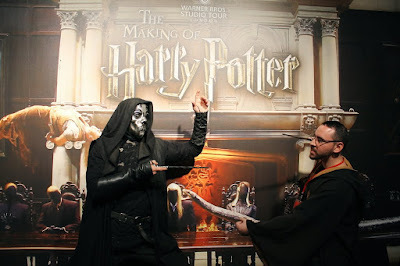 Instead of having a circular experience in a show building, Universal's used the two locations of the wizarding world to it's advantage and created a shuttle attraction. 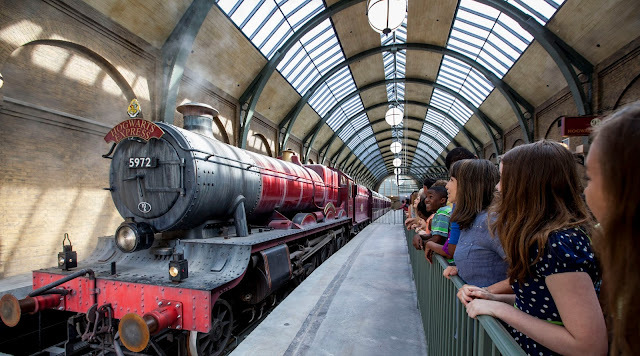 Guests board the Hogwarts Express at either 9 3/4 Platform at Kings Cross or in Hogsmeade, replicating the trip students make at the start and end of their school years. What could have been a simple transportation scheme like the Walt Disney World Railroad or PeopleMover instead became a complex, immersive experience. At Kings Cross guests drop off their prams, pass through a small store carrying crisps and ales for your trip, and then you climb a staircase to the loading platforms. As the guest ascends the staircase to the load platform the color palate and music shifts; what was once dominated by blues and silvers is replaced with reds, and the sounds of a busy bus terminal transition to the familiar Harry Potter score. 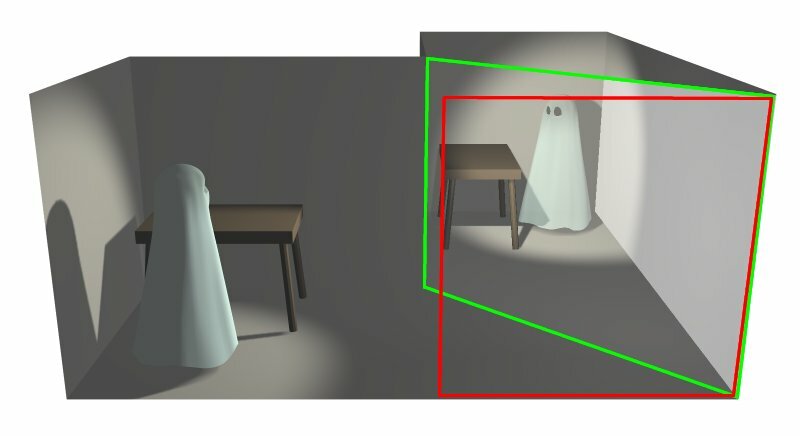 The Platform 9 3/4 effect of guests disappearing into a solid brick wall between Platforms 9 and 10 is achieved using the centuries old Pepper's Ghost illusion. See that carefully placed, slightly awkward hand cart? It's not just a hand cart, but a highly polished and cleaned pane of glass. Behind the videographer is the image being reflected in the glass, the solid brick wall. Guests are lit bright to show being in front of the wall, but then disappear behind it when they enter a dark tunnel. With the illustration below, the videographer is standing where the red square is. The Kings Cross platform is magnificent in scale and detail, easily rivaling any load platform for any attraction. A small queue leads up to a series of massive holding pens for each compartment on the train. Prior to the opening of the attraction there was speculation the hourly capacity for the attraction would be low. Guests would have a hard time determining which row to board while walking through the cabin, with the example being the slower than expected load at Mission:Space. 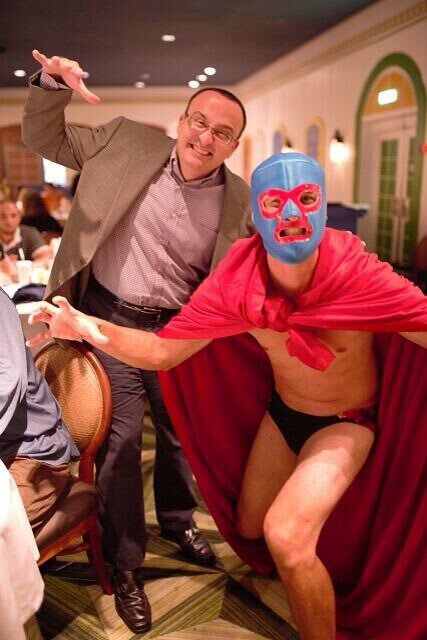 Luckily the hourly output exceeded expectations thanks to dedicated Team Members. The Hogwarts Express runs on a simple cable car system: two cars engaged on a looping cable located beneath the train tracks. A short bit of bypass track allows for the second vehicle to run in tandem without, you know, crashing into the other. This slight increase in ride time is offset with animated "entering the tunnel" animation. Each train is comprised of several individual compartments holding eight guests. Prior to departure a team members checks on each compartment, swipes an RFID tag on a pad, and the frosted glass doors close. Sandwiched between the compartment are two display surfaces: the virtual window and the frosted glass doors. The virtual window uses a curved display to show exterior images of the English and Scottish countryside. On the opposite side, Harry Potter characters cast shadows and touch the frosted glass doors that are open to the train's hallway. This small trick, where characters walk moments after you were did, adds a level of believability to the attraction that few can offer. Hogsmeade Station is isolated, personal, and contemplative compared to the busy, commercialized Kings Cross Station. Unlike in the books Hogsmeade Station is located closer to Hogsmeade than Hogwarts. But like the movies, where the station changed design movie by movie, this station is mostly unique in design. In Islands of Adventure a raised wall and large overhang straddle the train to protect riders from the Florida weather and views of the Dragon's Challenge coaster. Each year's travels set up and wrapped up the plots and stories set over the year in Hogwarts and the ride experience echoes these points. Traveling to Hogwarts covers the stories and experiences found in the first four books like the TriWazards Cup, demeanor attack, and Hagrid greeting the first years at the station. Yet the return trip to Kings Cross features Voldemort, the Weasley Twins advertising Weasley Wizard Wheezes, and the Knight Bus (ok that one is from the third book, work with me here guys). 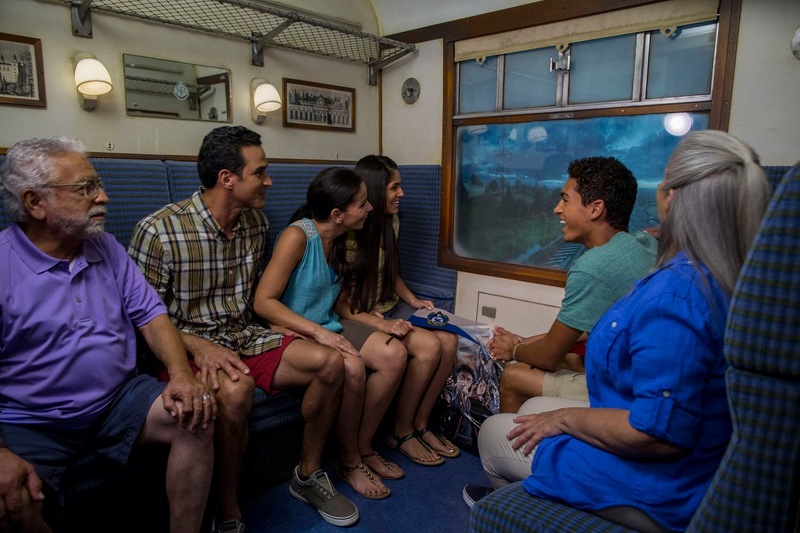 Hogwarts Express is the third jewel in the crown of the Wizarding World experience at Universal Orlando. Here, unparalleled experiences are brought straight from the books and movies people love. Thanks to J.K. Rowling's world building several areas worth of fictional places have come to life like nowhere else in the world. One can follow the footsteps of a Hogwarts student or forge their own path through the Wizarding World as their own creation. If theme parks are the ultimate escapist fantasy, the Wizarding World of Harry Potter is the pinnacle. Joe, Lane, Nick, and Sean are joined by internet legend Len Testa of the Unofficial Guide series, TouringPlans.com, and The Disney Dish Podcast with Jim Hill. We debate the price of steel, the German economy, Armani suits, concierge level on the Disney Cruise Line, Washington D.C. touring, ticket price increases, nighttime habits, best cheap hotels around Walt Disney World, and knee high sinks. Make sure to check out The Unofficial Guide to the Disney Cruise Line and The Unofficial Guide to Washington D.C.!